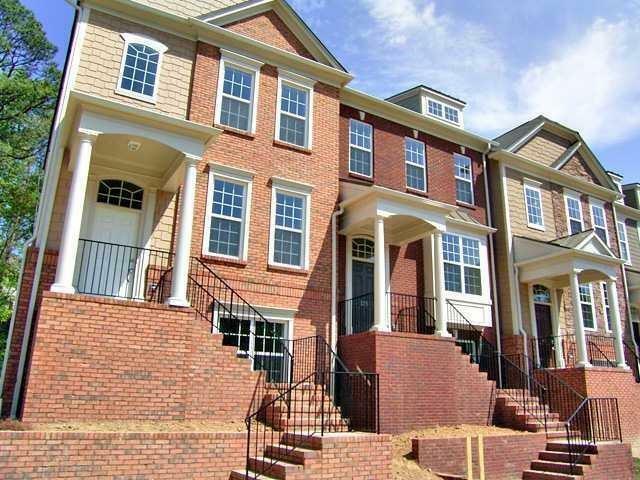 TOWNHOME COMMUNITY,IN HEART OF BROOKHAVEN/BUCKHEAD! *BONUS ROOM WITH BATH ON TERRACE LEVEL, UPSTAIRS GREATROOM WITH FIREPLACE, EAT-IN KITCHEN WITH GRANITE COUNTER TOPS, S.S.APPLCS, HARDWOODS, MASTER SUITE W/TREY EACH WITH WALK-IN CLOSET AND PRIVATE BATH,2 CAR GARAGE &MORE! DOG PARK RIGHT IN FRONT OF UNIT! READY FOR IMMEDIATE MOVE-IN. Directions: I-85 To North Druid Hills Exit, Go NW On North Druid Hills To Briarwood Rd, Turn Right Onto Briarwood *the Views At Lenox Crossing Is Approx 1/4 Mile On The Right!